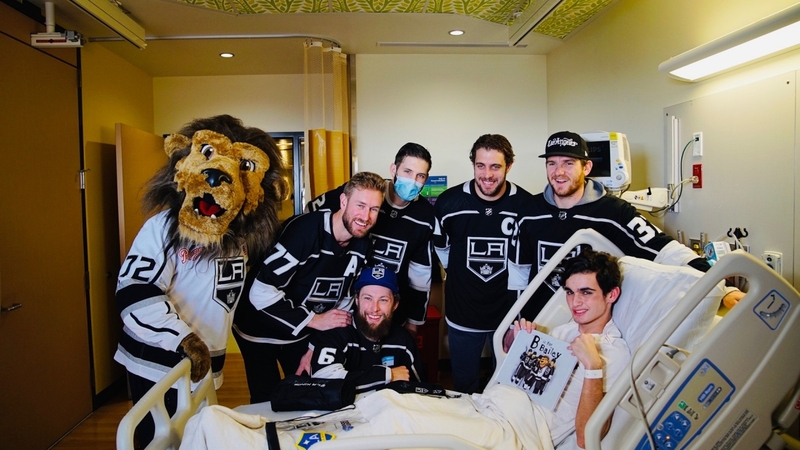 LA Kings players (from left to right) Jeff Carter, Jake Muzzin, Derek Forbort, Anze Kopitar and Jonathan Quick join Bailey in visiting patients during the annual LA Kings visit at Children’s Hospital Los Angeles on January 9, 2019. 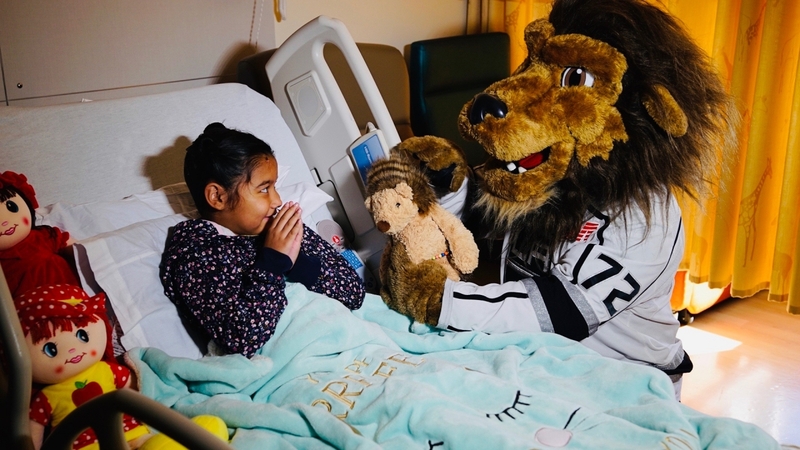 LA Kings mascot Bailey visits patients during the annual LA Kings team visit to Children’s Hospital Los Angeles on January 9, 2019. 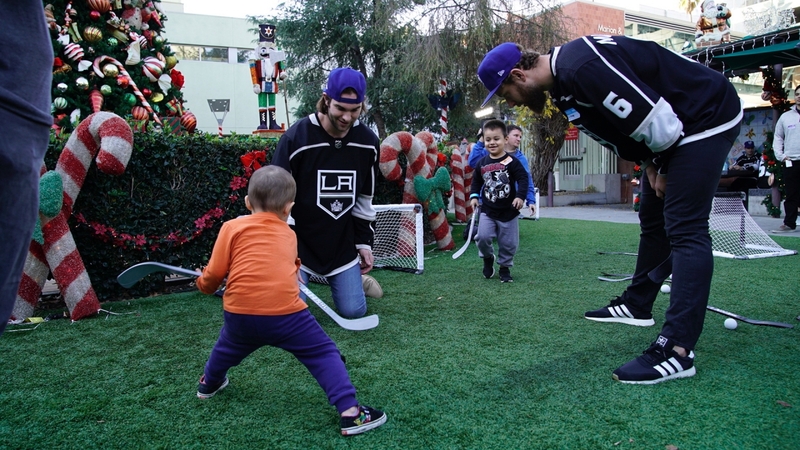 LA Kings players Jack Campbell (L) and Jake Muzzin (R) play ball hockey with patients during the LA Kings annual team visit to Children’s Hospital Los Angeles on January 9, 2019. 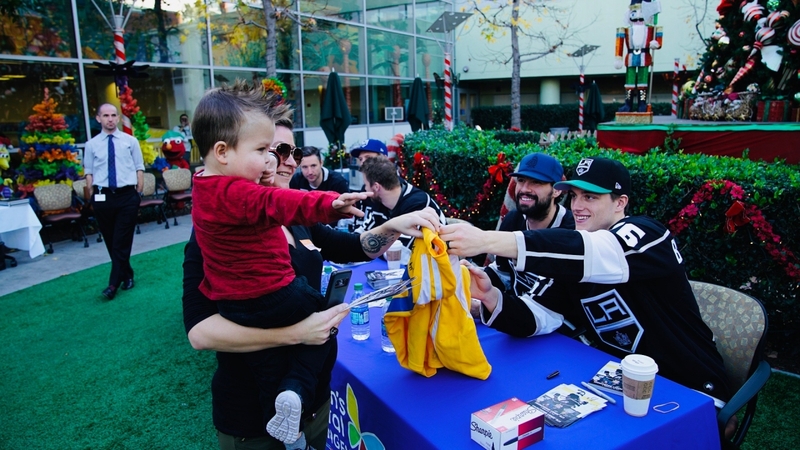 LA Kings host a special autograph session for patients and families during the LA Kings annual team visit to Children’s Hospital Los Angeles. 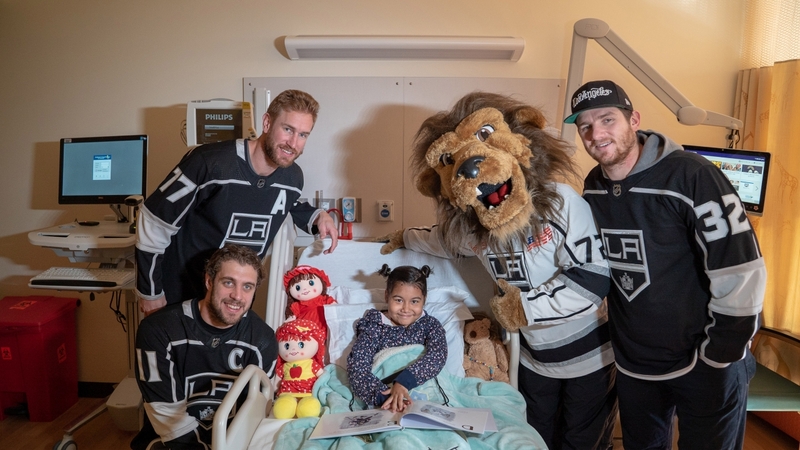 LA Kings players (from left to right) Jeff Carter, Anze Kopitar and Jonathan Quick join Kings mascot Bailey in visiting patients during the LA Kings annual team visit at Children’s Hospital Los Angeles on January 9, 2019. The Kings are currently working with CHLA to conduct four blood drives outside of STAPLES Center prior to the home games in January in celebration of National Blood Donor Month.